How is digital advertising in the financial services space evolving? Which channels and tactics are brands spending more of their budgets on? A recent report from eMarketer, US Financial Services Industry StatPack 2018, tackles these questions in depth. 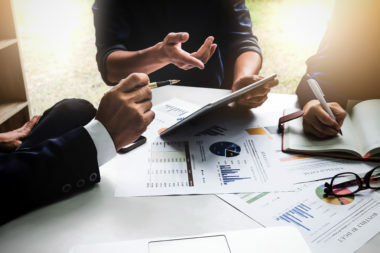 The researchers conducted interviews with major industry advertisers and analyzed 160 metrics from 16 third-party sources to determine current state of the financial services digital ad market and to understand how it’s expected to change in the coming years. The analysis included both desktop and mobile spend, as well as ads across display, video, and search (social media was not included). 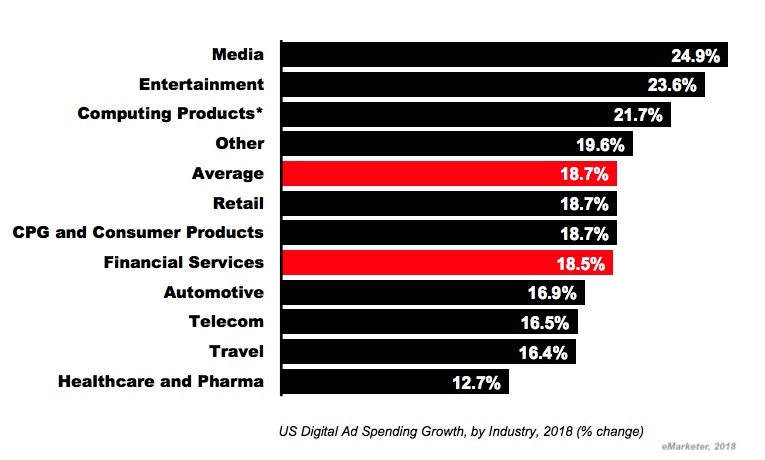 According to data cited by eMarketer, financial services brands will spend just over $13 billion on digital ads in 2018 and $15 billion in 2019. 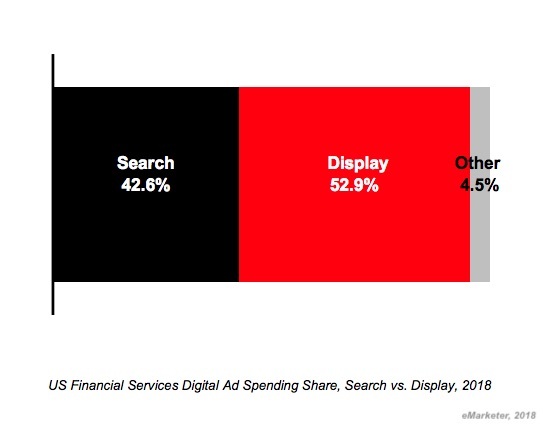 According to data cited by eMarketer, some 53% of digital ad spend by financial services brands goes toward display ads, 43% goes towards search, and the remaining 6% is split between other channels (social was not broken out). 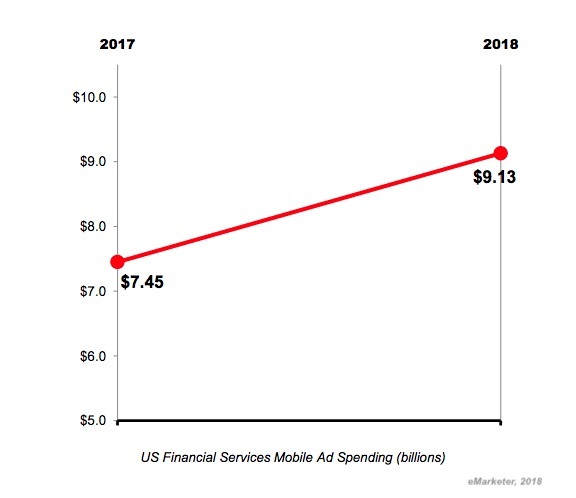 This year eMarketer projects that spend on display ads by financial services firms will increase by 20.5% to $6.9 billion, and will rise to $8.2 billion in 2019. Search will grow 17.3% in 2018 to $5.6 billion and is expected to reach $6.5 billion in 2019. 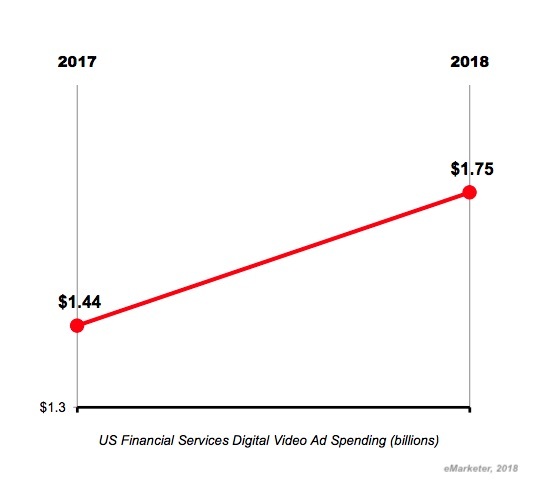 According to data cited by eMarketer, digital video will account for 13.4% of total digital ad spend by the financial services sector this year, up from 13.1% in 2017. 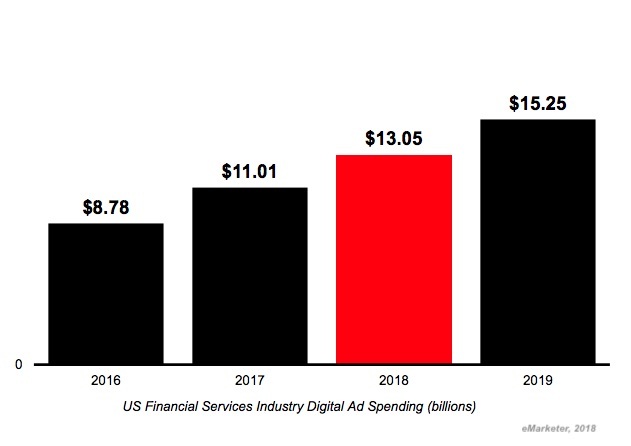 In total, digital ad spend on video by financial firms will reach $1.8 billion in 2018, up from 13.1% in 2017. 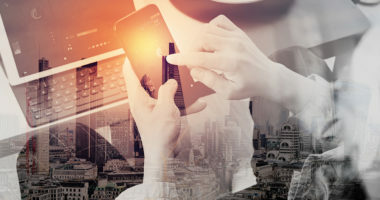 Marketers for US financial services firms seem to have fully gotten the message on the ever-increasing importance of smartphones and tablets; according to eMarketer data, some 70% of digital ad spend this year will go toward mobile and just 30% will go toward desktop. Moreover, this shift is accelerating. 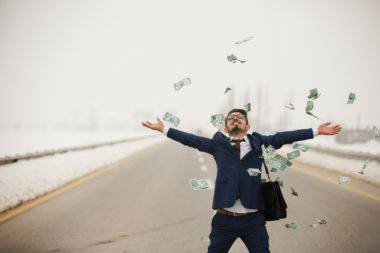 According to eMarketer data, digital ad spend by financial firms will jump by 22.6% in 2018, from $7.5 billion to $9.1 billion, and is expected to increase by another 20% in 2019. So, what should firms make of all this data? Fundamentally, it appears that financial services marketers are keeping pace with their peers in other industries: overall investment in digital advertising is growing in line with other verticals, as is spend on specific key areas such as video and mobile. While this is good news, it doesn’t mean that organizations should rest on their laurels—as recent history has shown, digital advertising changes quickly and it’s essential to watch closely for the next major evolutions. Learn more about financial services advertising trends. Contact MDG Advertising today at 561-338-7797 or visit mdgadvertising.com.